Drug Crimes Category Archives — Boston Criminal Lawyers Blog Published by Massachusetts Criminal Defense Attorney — Law Offices of Lefteris K. Travayiakis, P.C. In the case of Commonwealth v. Overmyer, the Massachusetts Supreme Judicial Court considered whether the smell of ‘unburnt marijuana’ provides police officers with probable cause to believe there is more than (the legal) one ounce to justify a search of the car without a search warrant. The court ruled that, no, the mere smell of unburnt marijuana does NOT justify a search. In this case, police officers responded to a motor vehicle accident. On scene, the officers smelled “a very strong odor of unburnt marijuana near” the defendant’s car. In response to questioning by the police officers, the defendant admitted that marijuana was present in the car and gave the keys to the glove compartment to the police. Inside, there was a “fat bag” of marijuana. Because the odor of unburnt marijuana persisted, a further search was conducted and more marijuana in a backpack in the backseat. As a result, this defendant was charged with possession with intent to distribute a class D substance and school zone violation. A 20 year old man from Boston was arrested this past Thursday on Massachusetts Drug Charges in Weymouth. He was charged with Drug Distribution, Possession with Intent to Distribute a Controlled Substance, Conspiracy to Violate the Drug Laws, and Resisting Arrest. According to the Weymouth Police Department, the defendant was alleged to have engaged in a drug transaction with a Weymouth man at a home on Pierce Road. That man was arrested on similar drug charges. Police had received tips about alleged drug dealing at that address. One of the most important steps in defending any drug case is evaluating the specific facts and circumstances involving the person’s arrest. Anyone who has been the subject of a search to their person or property by police can challenge that search under the United States Constitution and the Massachusetts Declaration of Rights. The Massachusetts Department of Health Lab in Jamaica Plain (William A. Hinton Drug Laboratory) was ordered shut down by the governor a few weeks ago when it was discovered that at least one of the chemists at the lab allegedly engaged in malfeasance and violation of protocol with drug samples in criminal cases. The drug lab handled several thousand drug samples seized from criminal drug arrests in multiple counties, including Suffolk County, Middlesex County (until 2009), Bristol County, Worcester County and Norfolk County. By way of background, when the police seized drugs in criminal cases, the drugs were ultimately sent to the DPH drug lab for testing and confirmation that the substance was, in fact, the certain controlled substance it was thought to be. At the lab, each drug sample was analyzed by one chemist, whose results were then checked by another chemist. As it turns out, one of the supervising chemists is alleged to have engaged in intentional violation of protocol by tampering with evidence bags; altering the weight of drugs; not calibrating the drug testing machines properly; and even altering drug samples so that they would test as drugs when they were not! This particular chemist, who was employed by the DPH drug lab in Jamaica Plain from 2003 to 2012, is believed to have been involved with as many as 60,000 samples and 182,000 criminal drug cases. The Norwood Police Department last week arrested 3 men on Massachusetts Drug Crimes Charges who they claim to be key suppliers for drugs in the Town of Norwood. The 3 men, one from Boston, Quincy and Fall River, were all arrested following a drug investigation with several ‘controlled drug purchases’ in Norwood that also led to a drug house in Randolph. All three men were charged with Drug Trafficking in Cocaine and Heroin and Conspiracy to Violate the Massachusetts Drug Laws. Drug Trafficking in Massachusetts is defined as the knowing or intentional manufacture, distribution or possession with intent to distribute certain net weights of controlled substances. 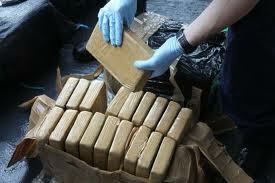 The penalties for a conviction for drug trafficking varies depending on the weight and the alleged substance. Two Boston city employees were arraigned this morning on Massachusetts Drug Crimes Charges following their arrest last friday. Each were charged with Drug Distribution; Unlawful Drug Possession; School Zone Violation; and Conspiracy to Violate the Drug Laws. According to the Suffolk County District Attorney’s Office, one of the city workers was employed as a Boston parking enforcement officer and the other, while the other was employed as a Boston crossing guard. Boston Police were reportedly conducting surveillance when they allegedly observed the parking enforcement officer, while in uniform, enter a vehicle and then get out with his fist clenched. Police allegedly recovered two percocet pills when he was later stopped and searched.